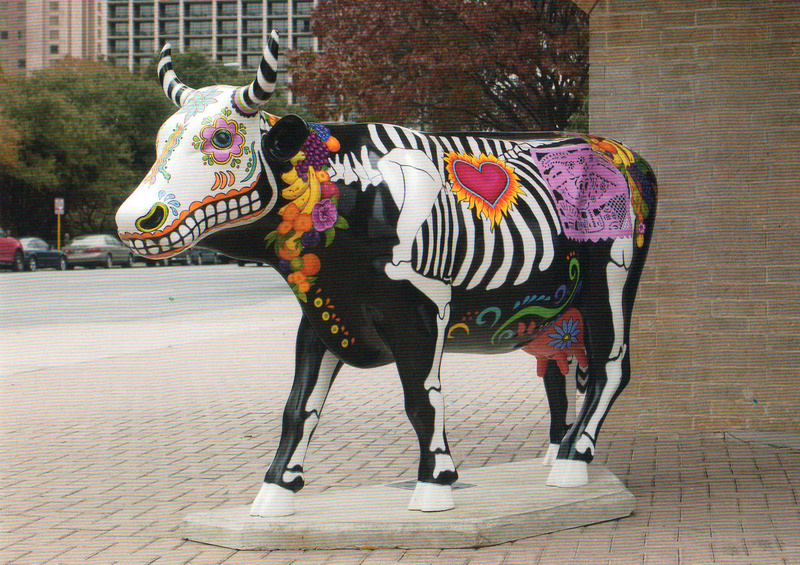 The biologist hired as a consultant for cow’s anatomy may have been a fake. 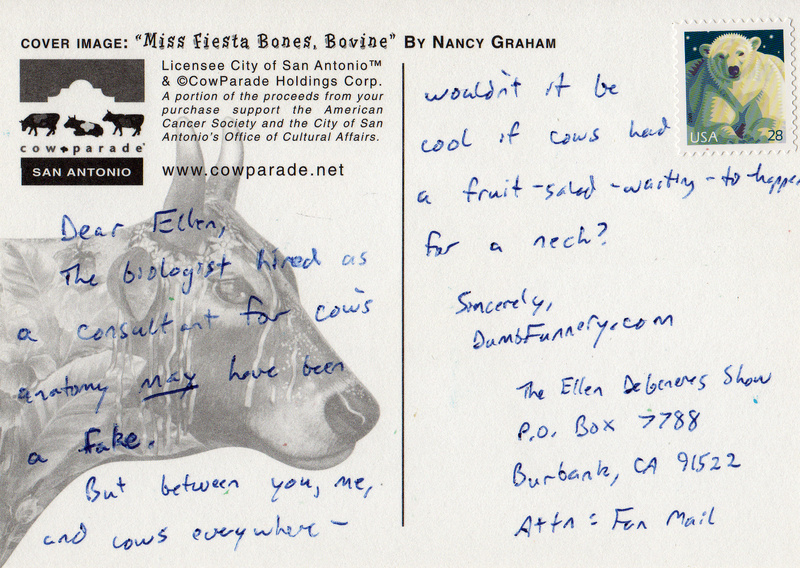 But between you, me, and cows everywhere – wouldn’t it be cool if cows had a fruit-salad-waiting-to-happen for a neck? Someone created that and thought it was a piece of art. It worries me that that person might still be out there somewhere.